Yes ! I would’ve paid one price for the game. But this was plain greed from EA. Good game enough to make me write a review tho. You really shouldn’t have an ad after every attempt . Each ad is 30 seconds long. It makes me not want to play. It drains my phone battery on top of it all. I’ve been playing Peggle since it was first released. I used to occasionally watch the ads on this game for a couple of free shots, well I did that a few times for one and still couldn’t beat it. Eventually I ended up 1 shot away, so I did the thing where I spend a dollar to get 3 extra shots. Should be worth it. It wasn’t. Since I spent money on the game it won’t let me do the ads anymore for free shots. 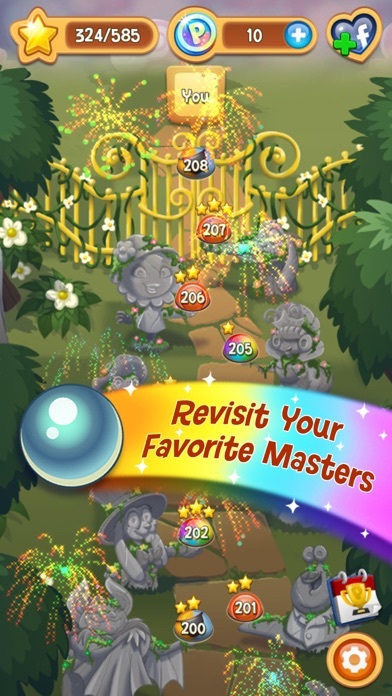 PopCap hit an absolute grand slam with the original Peggle. It’s one of my favorite games of al time, and it only cost me a dollar! As a highly replayable and mechanically sharp game, it easily kept me entertained for 50+ hours while giving me HUGE bang for my (literal) buck. I would have gladly paid $5 or more for it— unfortunately now I can’t play it at all. 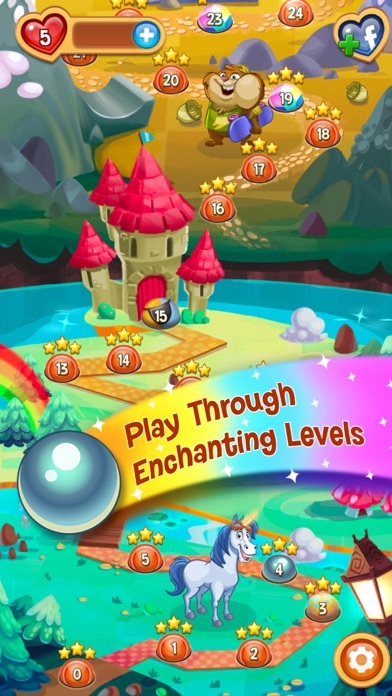 It’s been removed from the App Store to make way for the soulless, greedy cash cow that is Peggle Blast. This game embodies everything that I hate about the mobile games industry. 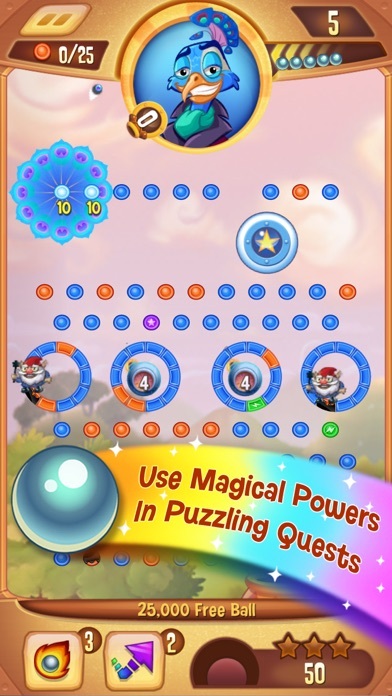 The design is absolutely insidious, with cutesy graphics, a fun introduction, addicting and fair challenges— then suddenly they start systematically robbing you of hard-earned and well-deserved victories. The frustration comes from a series of increasingly infuriating cheap shots, like bombs that literally blow up your whole carefully laid plan out of nowhere. 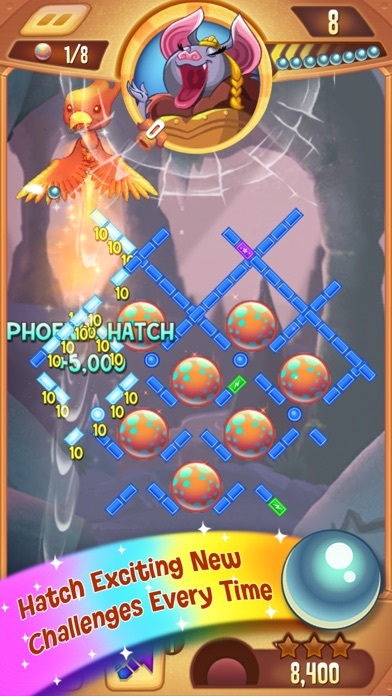 Peggle has always had an element of luck to it, and that was part of the fun. Now the cards are stacked against you, designed to milk a few more bucks out of the struggling masses for a temporary power up or a few extra attempts at clearing the board. 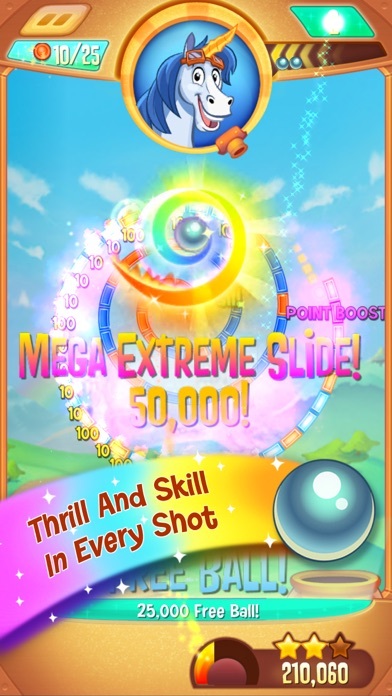 Don’t give in, and if you are susceptible to impulsive decisions then don’t download Peggle blast. Vote with your wallet by keeping EA out of it— and believe me they are constantly grabbing for it in this depressing shadow of a once great game. You can’t just buy the game outright. You can’t get the original Peggle, either. No, you are forced to watch ads, some of which are as long as forty-five seconds to a minute. Screw you, EA! I like the game and I’ve been on level 130 for a few days now, earlier today I finally beat it. But it says I’m still on that level. Even though it has the two stars I earned floating above the multicolor dome with the level 131 dome still grey as if I need to beat the previous level. I screenshoted the screen of me beating the level that says completed and success but the game still won’t let me continue to the next level. If anyone knows how to fix it or had the same problem help me. It’s a fun game and I would buy if I could. I had this on my Xbox years ago. But the only thing that is crappy about this game is. The Ads! They don’t stop. After every lose life, winning, or just picking a different level. There will be an Ad for everything you do. So the best way to really enjoy this game is to put your phone on Airplane mode.